Parasite Cleanse Pack. This is a 12 day course to rid yourself of parasites and worms. Although we are normally not aware of it, humans are hosts to non-beneficial parasites and worms. Often we are tired, have no energy, gain weight for no reason and generally feel out of sorts. Over a prolonged period this can lead to other illnessess. This is a 12 day course to rid yourself of parasites and worms. Although we are normally not aware of it, humans are hosts to non-beneficial parasites and worms. Often we are tired, have no energy, gain weight for no reason and generally feel out of sorts. Over a prolonged period this can lead to other illnessess. A parasite cleanse enables the body to rid itself from these uninvited residents for good. After the 12 day course it is recommended to continue once day a week to stop re infection. 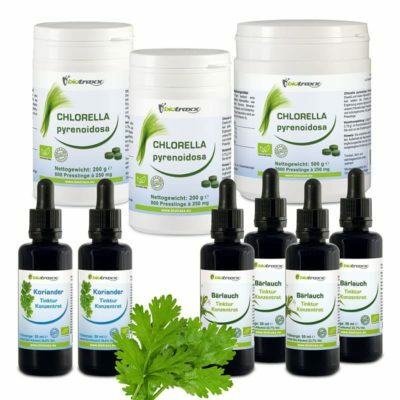 It is also recommended for all members of your household to do a parasite cleanse at the same time to stop re-infection. If you have pets, it is recommended to give them the same treatment. 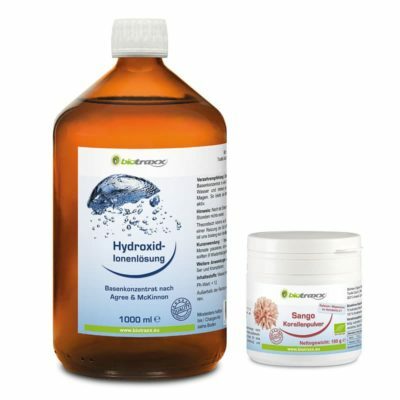 A breakdown of drops per kilogram is on the label so that you can treat your children and pets at the same tim. When treating children or animals and you have some left over, keep the remaining tincture in the fridge for next weekly treatment. 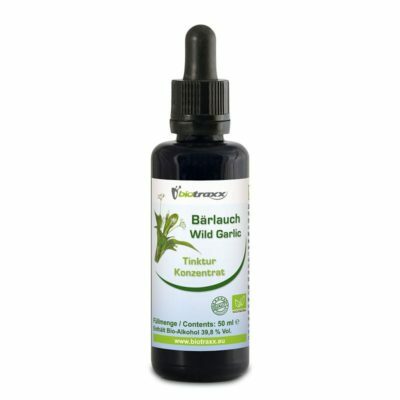 This tincture is made to the specification of Dr Hulda’s parasite cleanse. 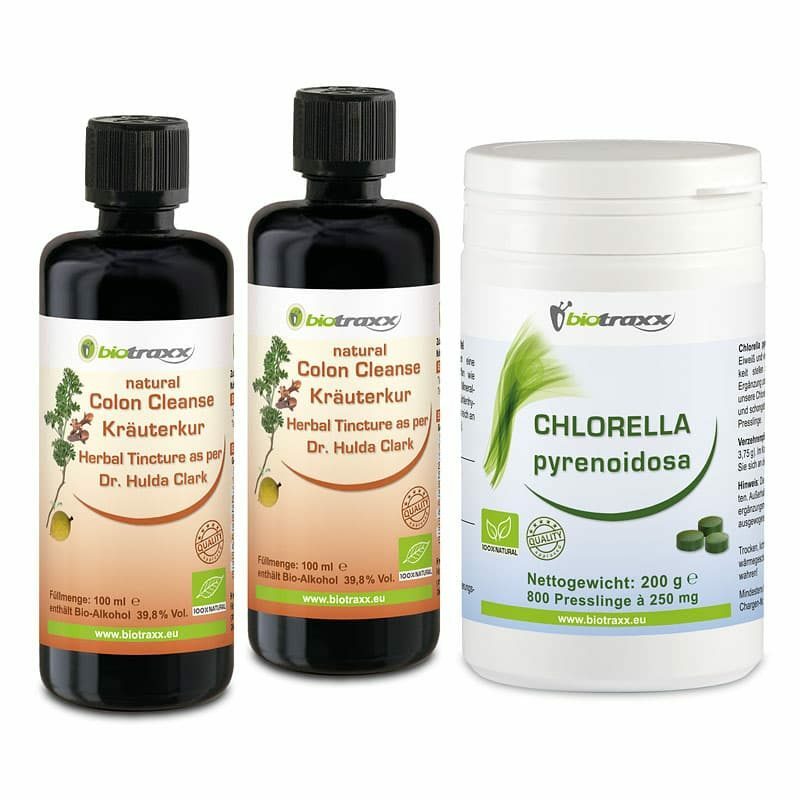 The price of this Parasite Cleanse Pack is for 2x 100ml glass bottle Parasite Cleanse tincture plus 800 tab Organic Chlorella Algae (Naturland certified), which is the required amount to treat one adult for the required 12 day treatment. 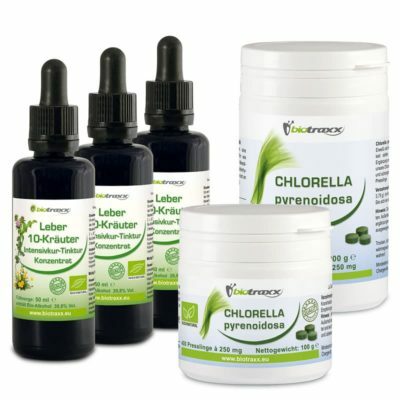 Chlorella Algae is a fantastic detoxifier and deodorant, supports the excretion of toxins produced by the dead parasites. 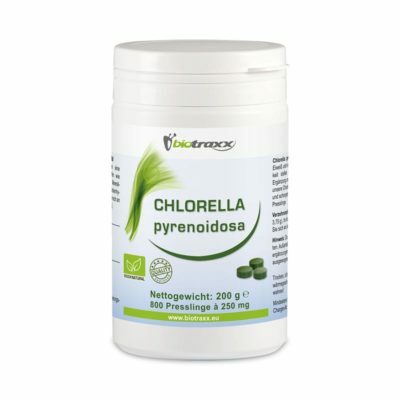 additionally 3x daily 10 organic chlorella tablets. To help the body eliminate unwanted parasite and worms, it is recommended that a vegetarian diet be consumed. Meat, dairy products, sugar, sweetened fizzy drinks and alcohol should be totally avoided. The diet for the 12 days should incl fruit, vegetables, nuts, whole meal/brown bread, quinoa, brown rice and lots of water. Warning: do NOT use for horses, black walnut is highly toxic to horses! Wild Garlic (Allium ursinum ) is a local plant of the family of Allium, such as also garlic and chives. In folk medicine it is used primarily for gastrointestinal disturbances.